When an opponent draws a Friend, you may put a +1 power counter on one of your Friends. When an opponent draws an Event, you may draw a card. 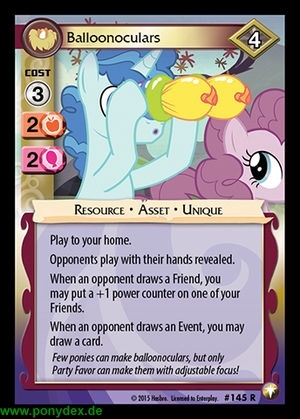 Few ponies can make balloonoculars, but only Party Favor can make them with adjustable focus!